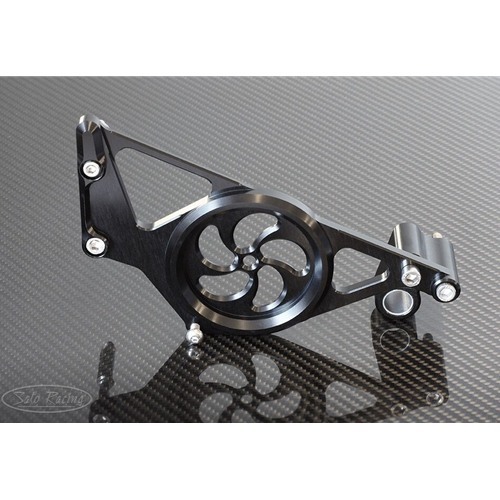 Sato Racing Shift Spindle Holder for Kawasaki H2 is a stylish sprocket cover that features an integrated spindle holder with a Teflon coated bushing. This reinforces the shift shaft to reduce play, for more precise shift action during heavy-duty use. Anodized billet aluminum with stainless steel bolts. Choice of Black or Gold.